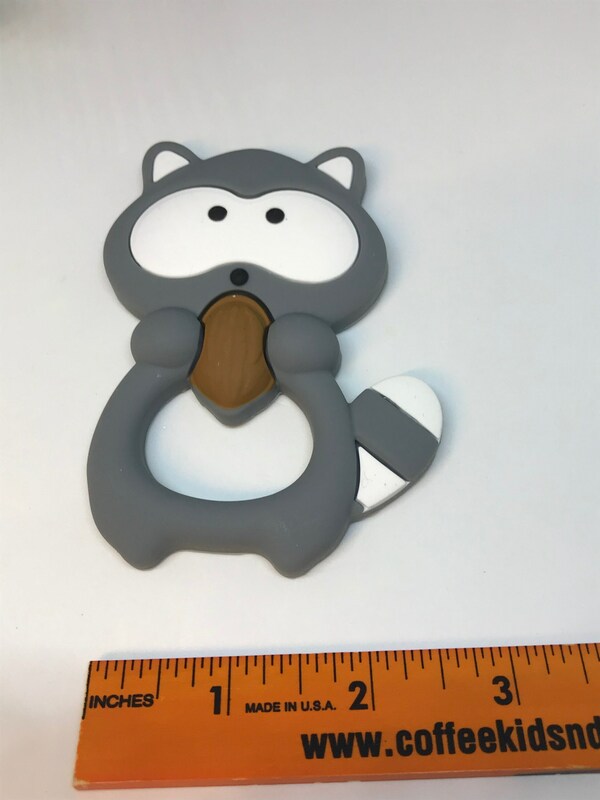 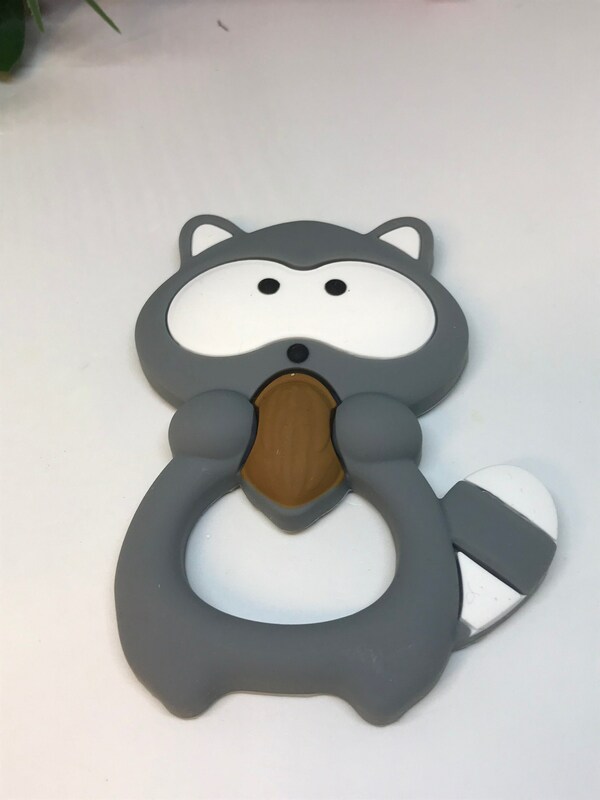 DESCRIPTION: Two sided silicone ""raccoon" teether. 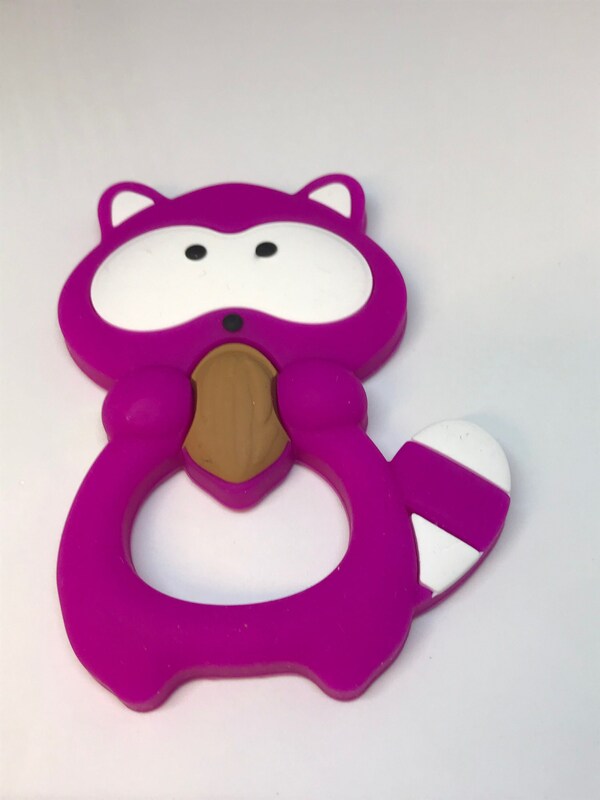 HOW TO USE: Use with handmade baby toys, use as a pendant for baby to chew on, or attach to play stations. 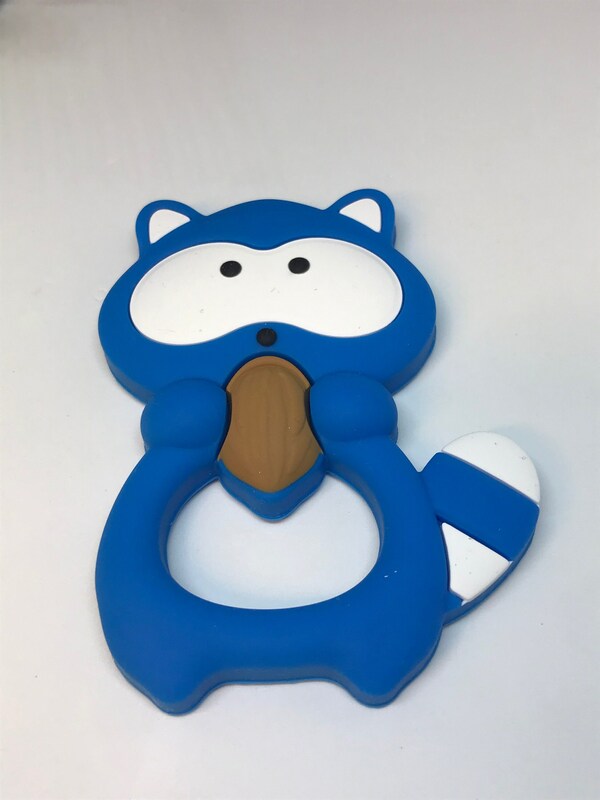 Attach with baby links to other toys or strollers or use with break away pendant cords for parents. 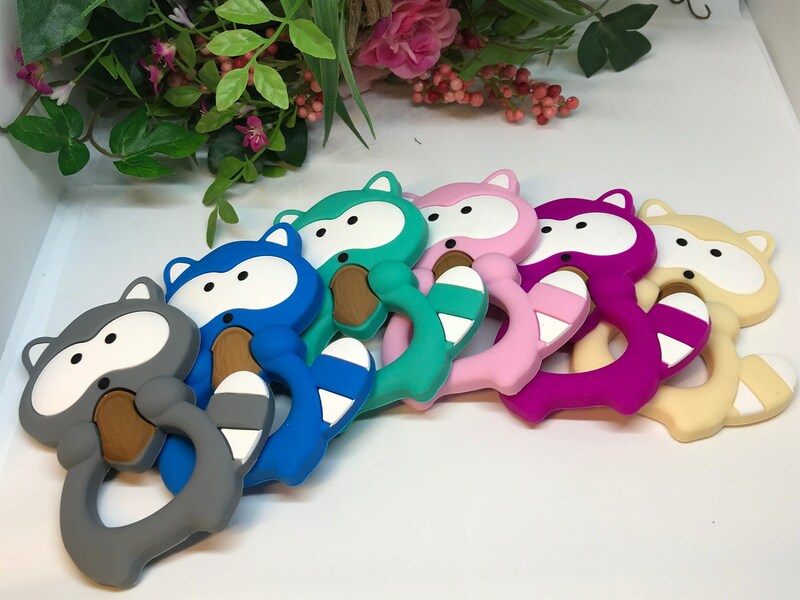 CLEANING: Hand wash with hot, soapy water and allow to air dry. 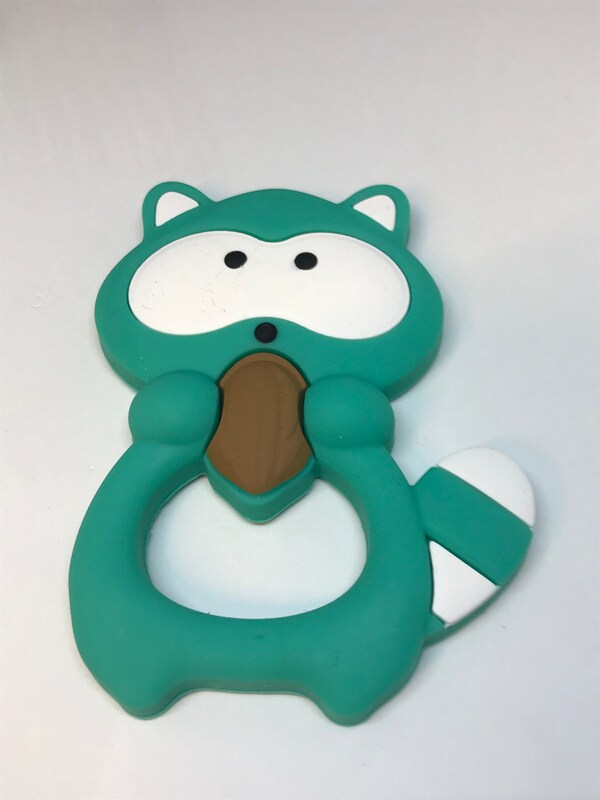 SAFETY: These silicone teethers meet FDA and EN71 safety standards. 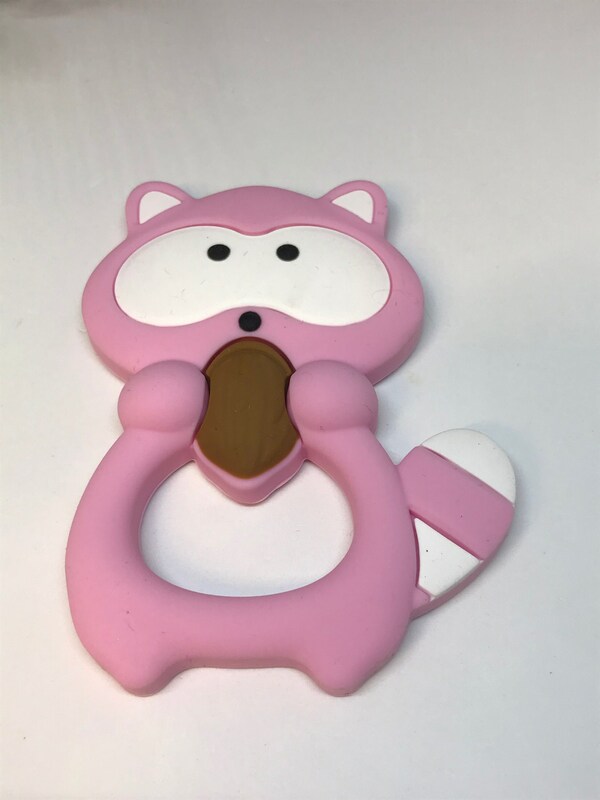 They are BPA free and is considered FOOD GRADE SILICONE. 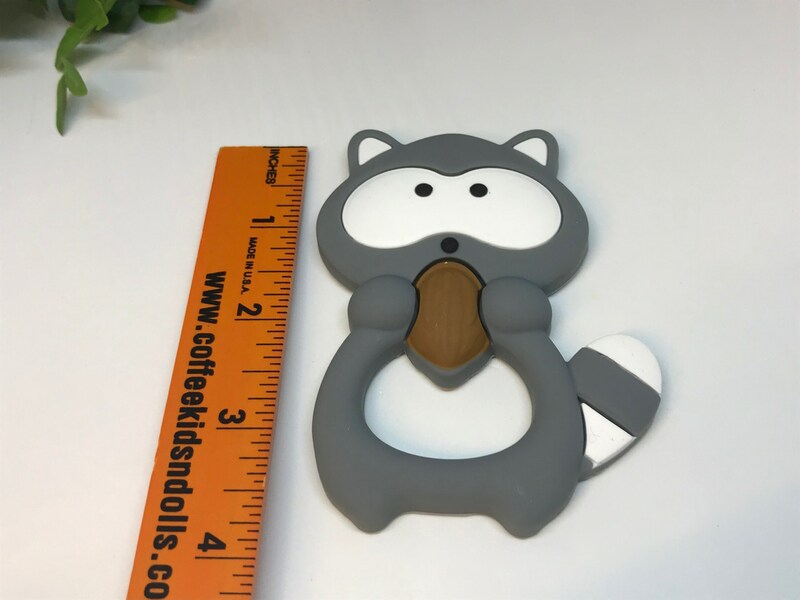 QUANTITY: Each item is sold individually. 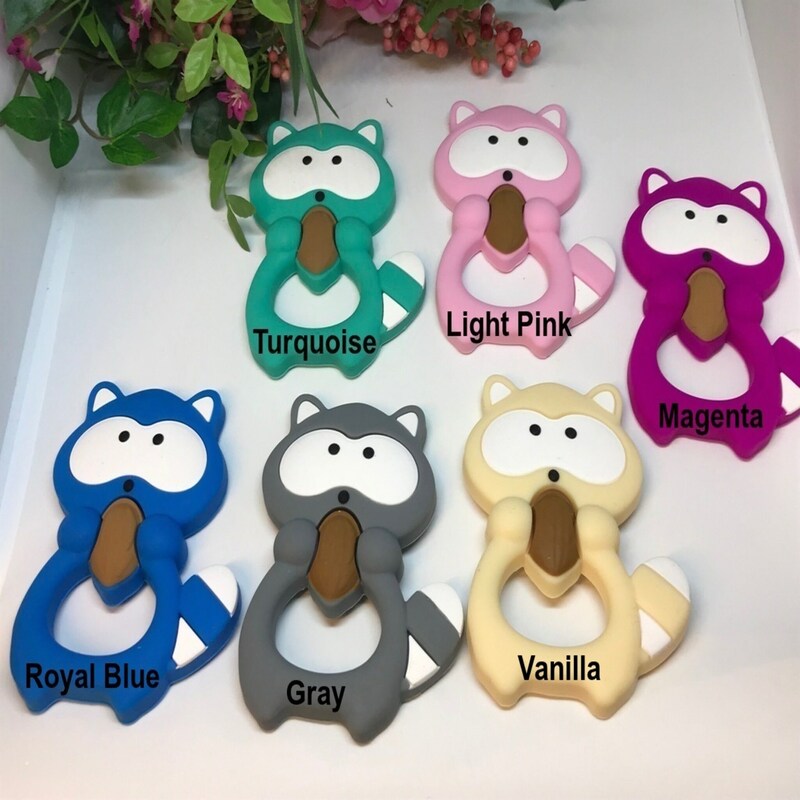 Purchase just one or several.